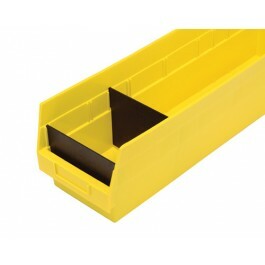 Optional black dividers fit snugly, horizontally across plastic bins to create compartments. Each bin accepts up to 8 dividers. 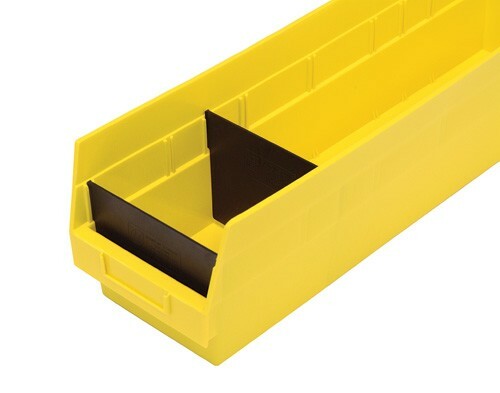 Bins have a slot at the very front allowing the open hopper front to be closed off creating more storage space. Made in the USA.